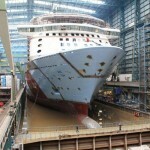 One of the most anticipated cruise ships of 2014 floated on water for the very first time yesterday and Royal Caribbean have released a few photos of it. Over the past few weeks the ship has started to come together and the cruise line has been posting constant updates and construction progress using the #BuildingaCruiseShip hash tag. 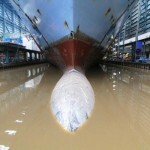 Only 4 days ago the ships Azipods were installed and now all the blocks have come together at the Mayer Werft shipyard in Papenburg, Germany. 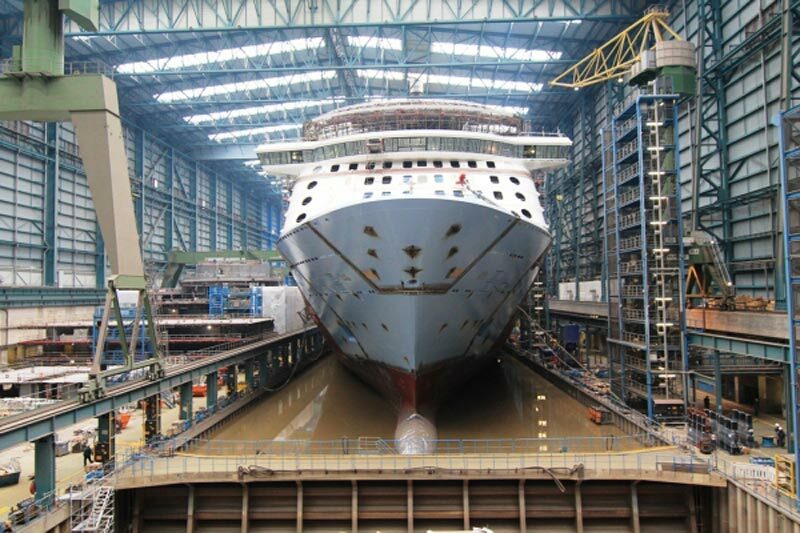 Quantum of the Seas will be completed by November 2014 which is when it will make its maiden voyage from Cape Liberty in Bayonne, New Jersey. It will be one of the most innovative ever built featuring the North Star which is a London Eye style booth rising above the ship on a huge arm. Let us know what you think of Quantum of the Seas and what you’re expecting in the comments below.